Winterising your summer wardrobe is a great way to save a few dollars and get your creative juices flowing. 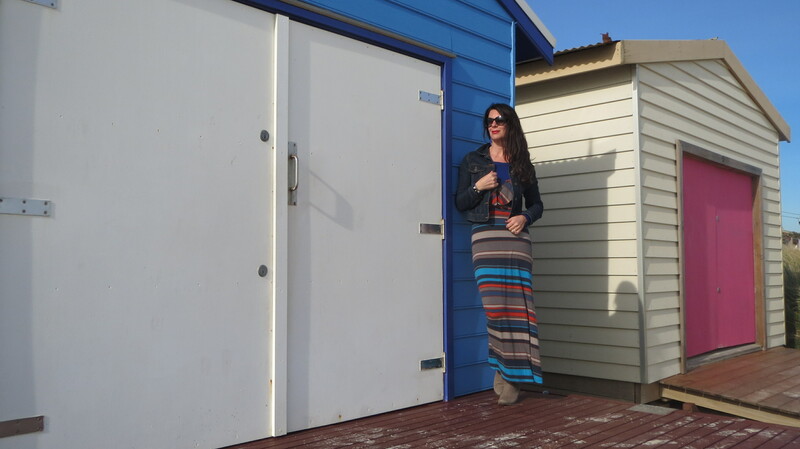 As you can see, today I winterised this striped singlet maxi dress by throwing a light colbalt blue knit under it and a denim jacket on top. 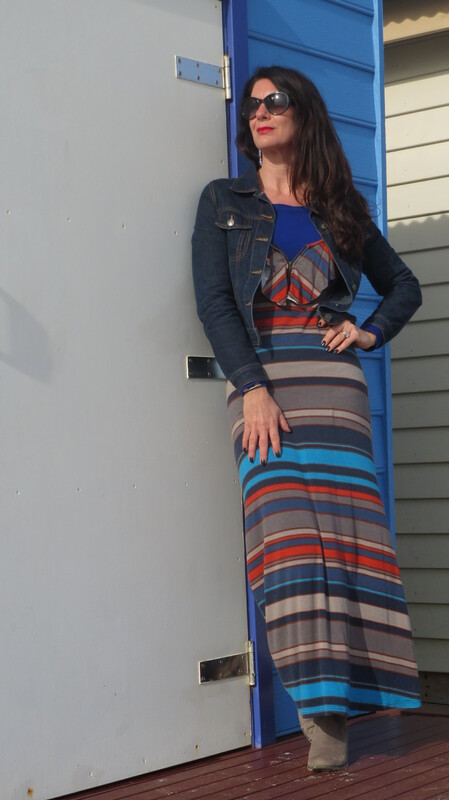 If you prefer a maxi skirt, simply pop the knit or a fave top over it and accentuate your waist with a belt. Maybe a little something like this . . . 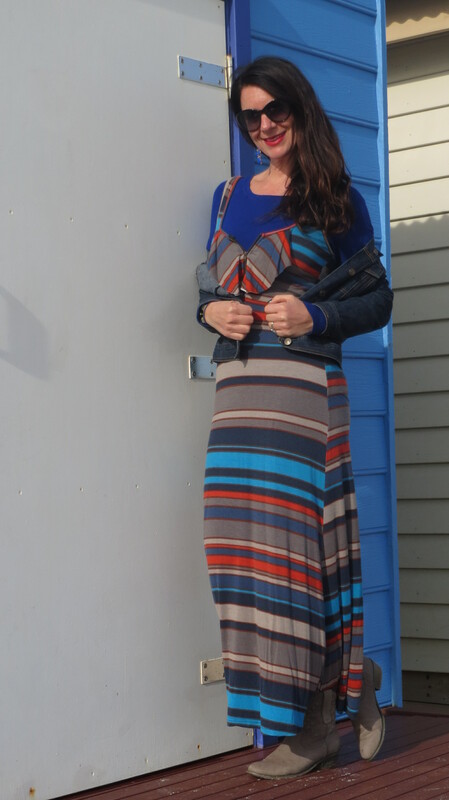 This is a killer look – a floaty summery maxi skirt (or dress), toughened up with a fierce leather jacket. 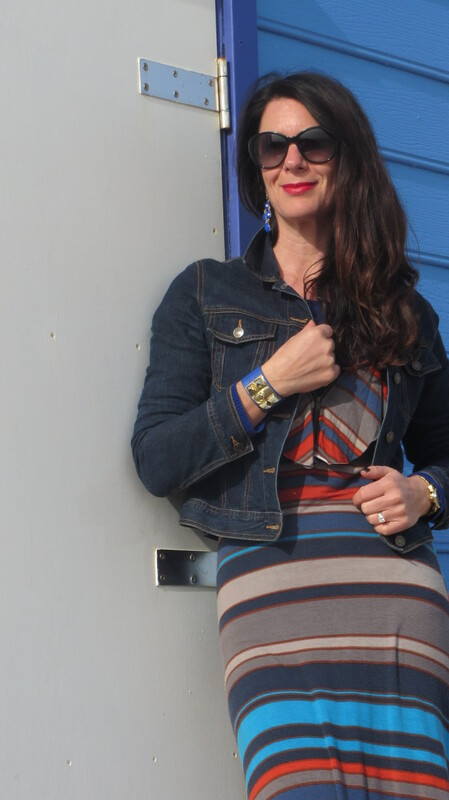 Then all you need are some groovy accessories and a lick of nailpolish – I went for metallic dark blue from Revlon. 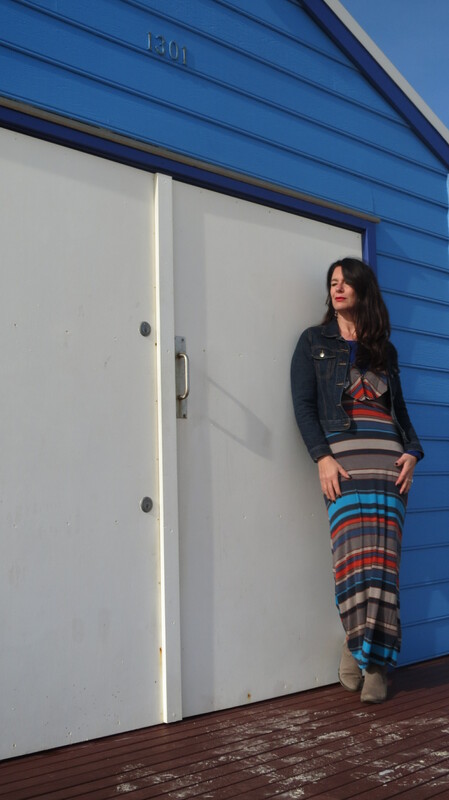 While maxi skirts and dresses are scarce in the stores at the moment, there are loads online. As soon as I spot some bargains in stores I’ll let you know. Dropped into my old stomping ground at Chelsea beach today while Mum and Dad ran around with the boys. Ahhhh how I miss the bathing boxes, the fine white sand, and the perfectly glassy water. Sheer bliss! Have a fab weekend. And now you’re Looking Good Girls! “The intelligent person restrains his words, and one who keeps a cool head is a man of understanding.” Proverbs 17:27. Thanks Amanda. Your support inspires me to keep going with this little blog.